After completing a Bachelor of Dental Science in 2005 at Melbourne University, Dr Saori Hayashi gained further knowledge in rural and metropolitan practices. After cultivating her skills, she joined the team at EBDG in 2007. 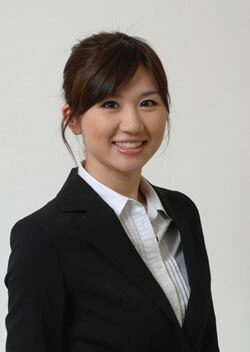 Dr Hayashi is a member of the Dental Association, and is constantly attending development meetings, both in Australia and overseas to promote her dental expertise. She enjoys practicing in all areas of dentistry including general care, fillings, crowns, bridges, root canal treatments and dental implants. Her philosophy is to provide the best care possible to satisfy patient’s treatment. "I have a strong belief that a habitual oral care routine, combined with regular dental checkups can lead to a lifetime of excellent dental health"